US share indexes fell by more than 2% on Friday, as uncertainty continued to roil financial markets. The declines extended losses from earlier in the week and hit nearly every sector, led by technology firms. The Dow Jones index and S&P 500 both tumbled about 2.3%, while the Nasdaq fell more than 3%. The falls came as charges were outlined against a top Huawei executive, while a weaker-than-expected jobs report renewed concerns about economic growth. US markets had performed better than expected in 2018, hitting record highs earlier in the year. But investors expect growth in the US and globally to slow in 2019, a deceleration worsened by new trade tariffs and rising interest rates. The cluster of concerns has cast markets into turmoil. 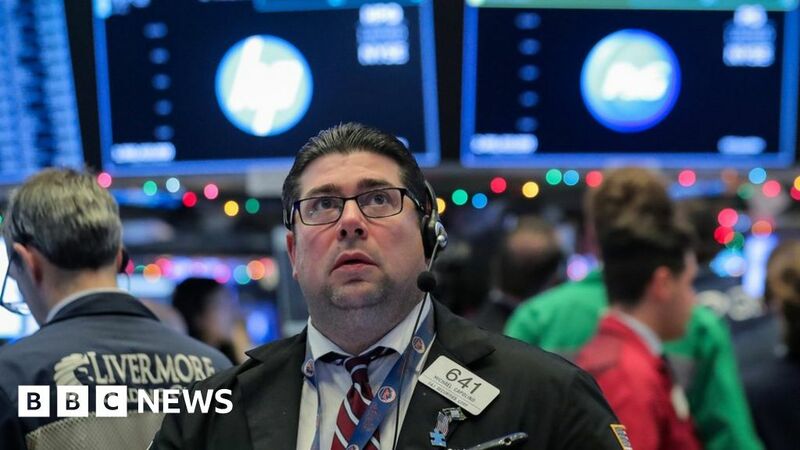 On Friday, the slowdown in jobs monthly growth raised questions about the path for interest rates, while the hearing for Huawei’s chief financial officer further fanned worries about US-China trade tensions. Friday’s falls left all three indexes down more than 4% for the week. The Dow and the S&P finished lower than they were at the start of 2018, while the Nasdaq was roughly flat. Intel and Micron, which both do business with Huawei, were some of the the biggest losers, falling 4.4% and nearly 6.3% respectively. Earlier, moves on Asian markets were more muted, while European shares mostly recovered after sharp declines on Thursday. In London, the FTSE 100 closed up 1.1%. While some analysts have argued the recent declines in US share prices are simply a needed correction from the earlier highs, researchers at Capital Economics said they expect to see this week’s turbulence to continue. “In particular, while both the S&P 500 and US Treasury yields have started to drop a little sooner than we had previously anticipated, we still suspect that both have much further to fall in 2019,” they said.